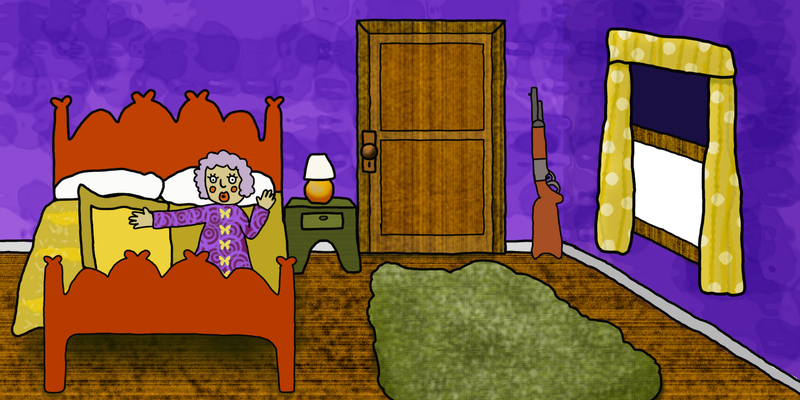 Here’s what I did since my last post…added curtains, a rifle and a nightstand (with lamp). I also started working on some of the character actions. 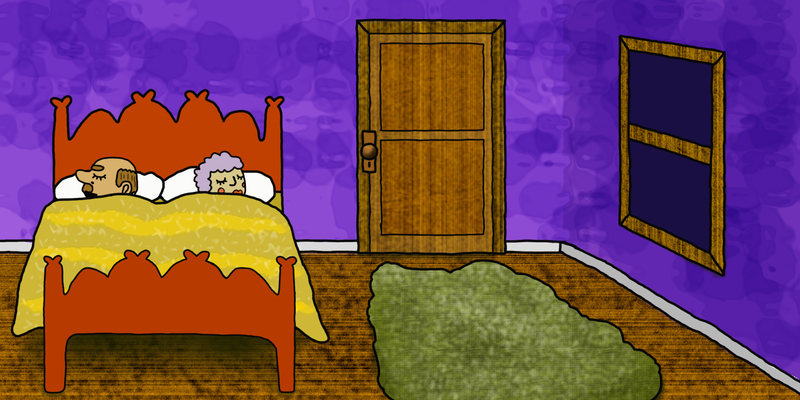 I know that the perspective is pretty wonky (especially with the old lady in the bed) I might fix that if I have time. But this image will be in the video for less than a second so it’s low priority.